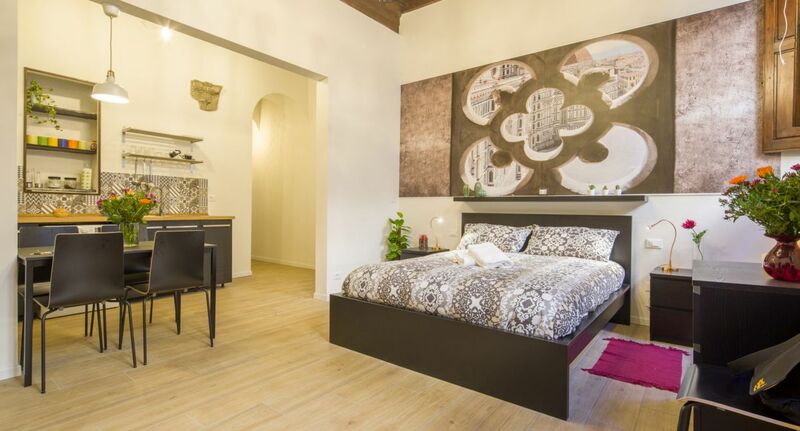 This fantastic, BRAND-NEW 2-bedroom apartment is located in one of the most beautiful and prestigious areas of Florence, just steps from the river and the vibrant Santa Croce square, within easy walking distance of all main attractions. 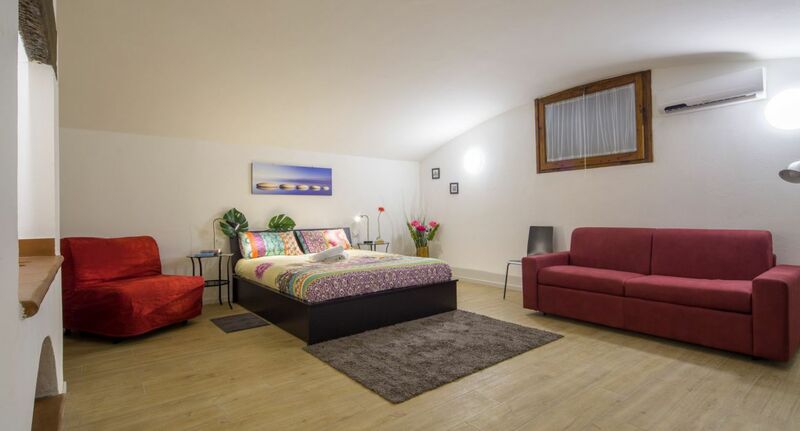 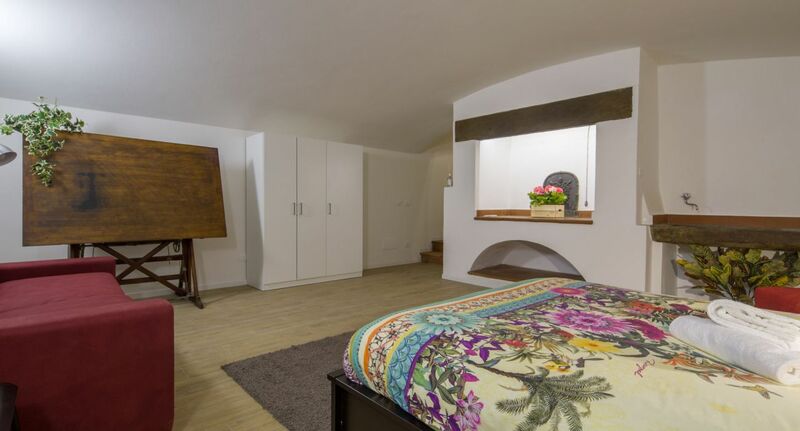 The apartment can accommodate up to 4 guests in total comfort. 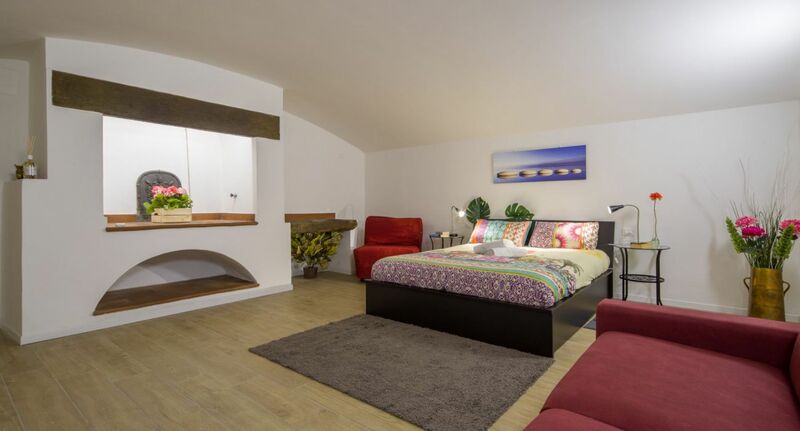 It features large windows, and sleek contemporary interiors . 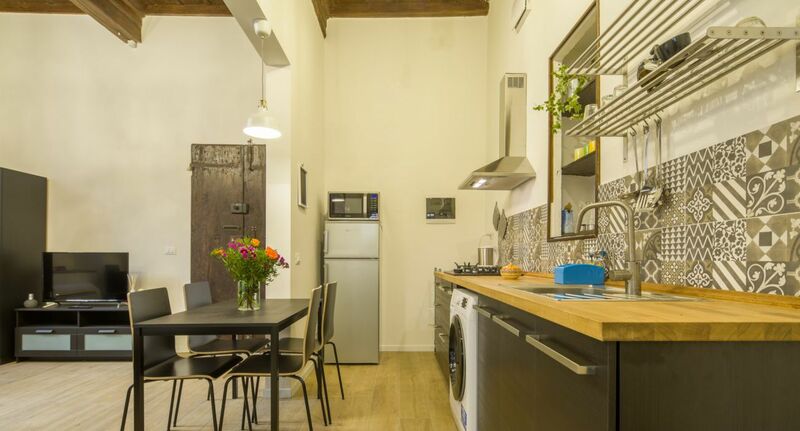 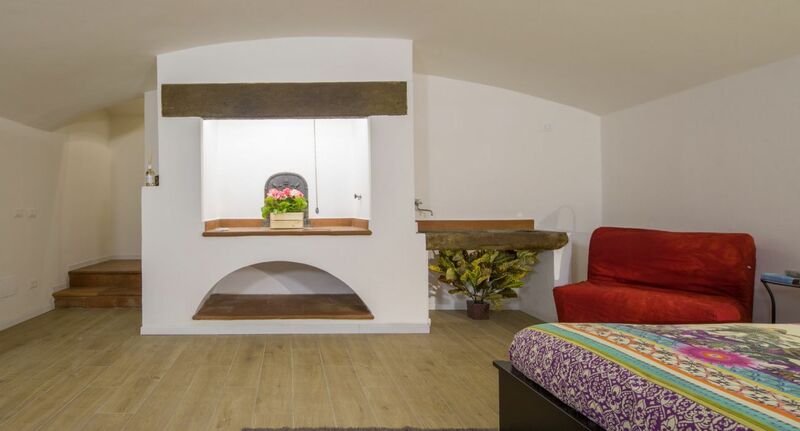 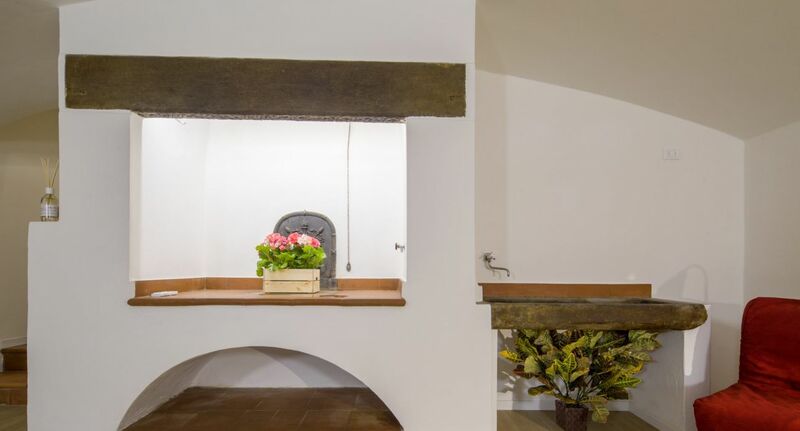 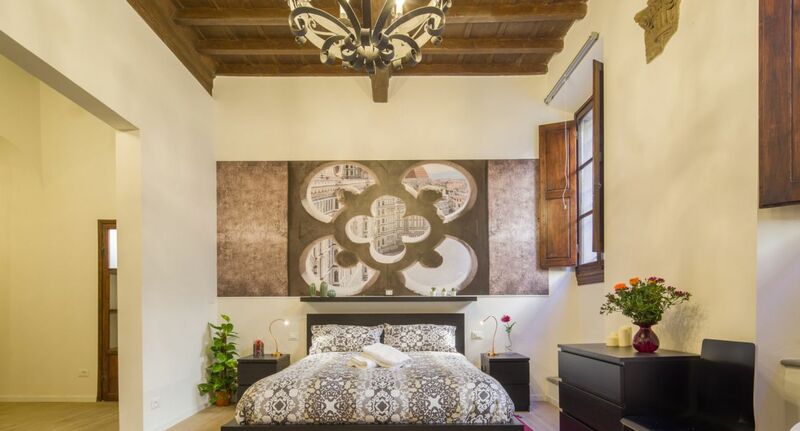 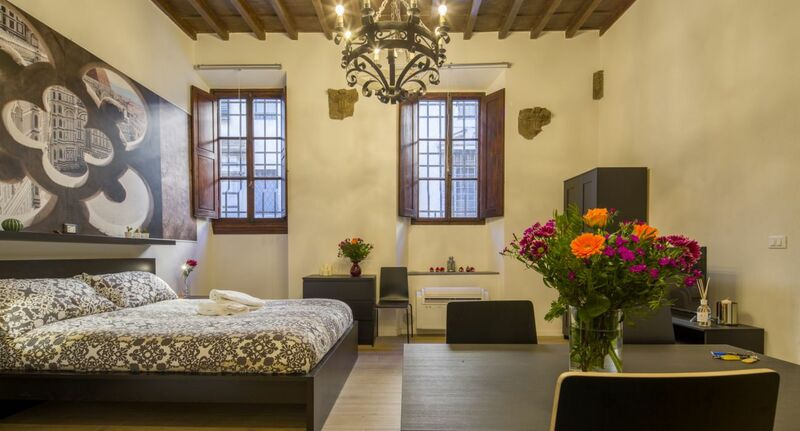 State-of-the-art insulation and the building’s intrinsic characteristics make it exceptionally quiet for an apartment in the historic center of Florence. 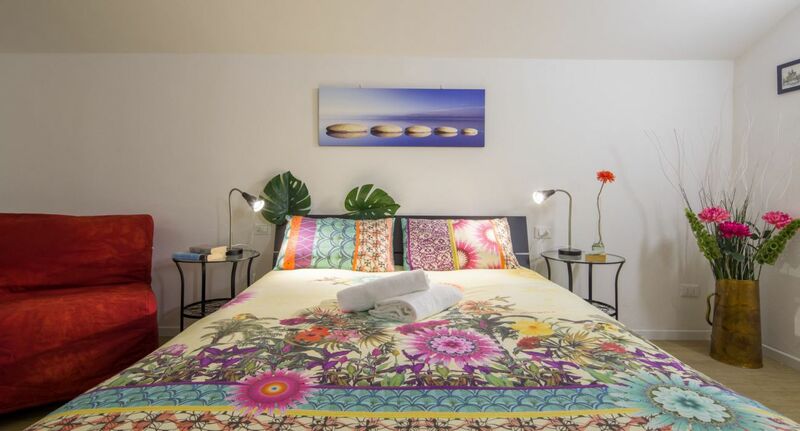 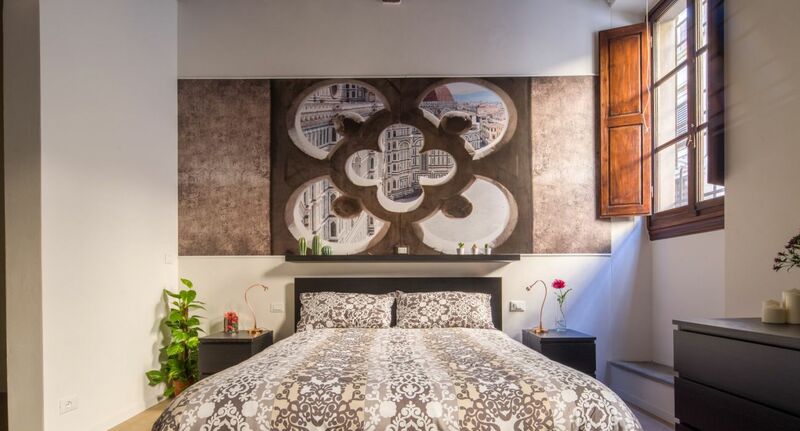 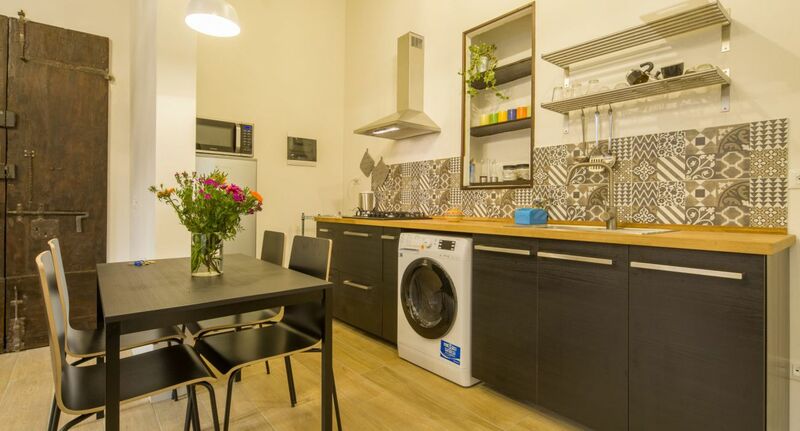 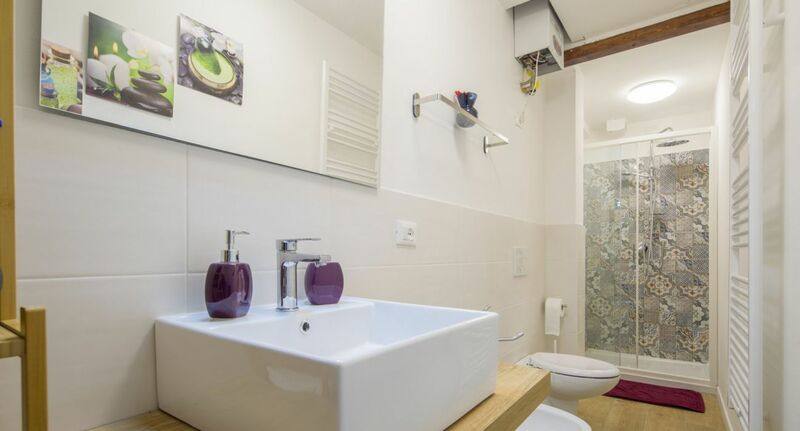 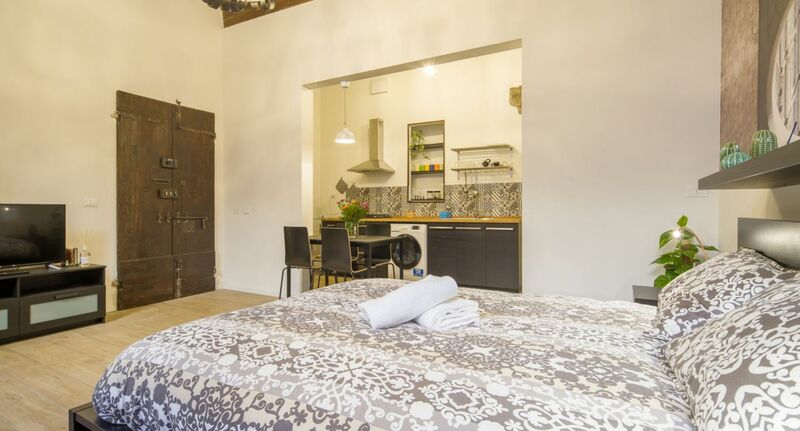 And with a full range of top-class amenities, from the awesome flat-screen TV to the brand new air conditioning system and super-fast WiFi internet, this fabulous accommodation is guaranteed to add an extra layer of magic to your Florence experience! 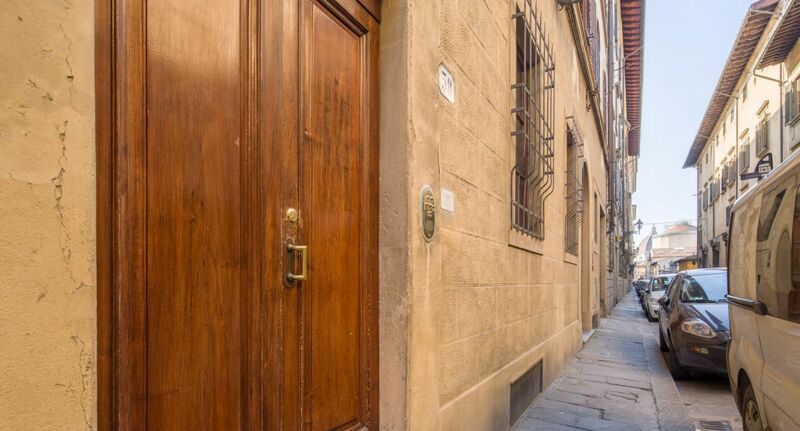 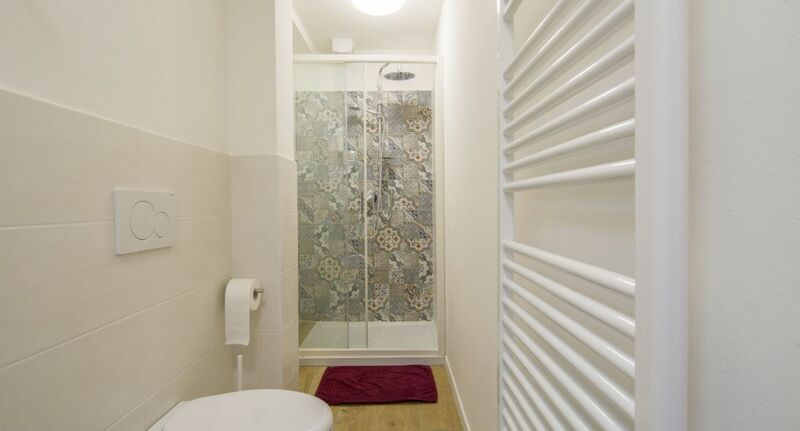 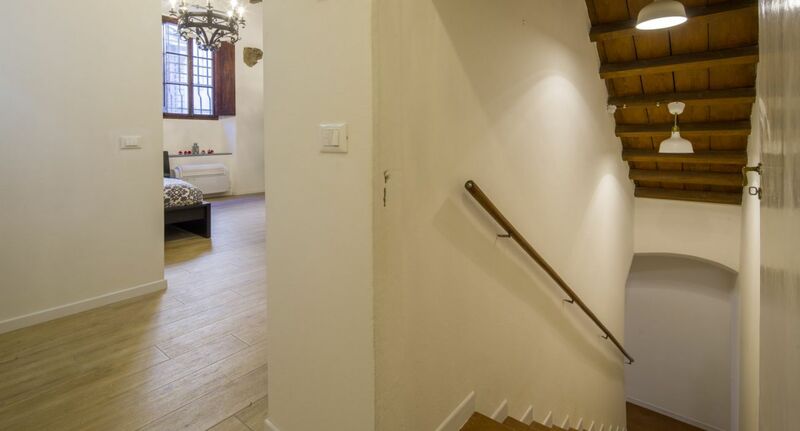 The apartment is in Via Gino Capponi, a beautiful street in the heart of the historic center: simply put, the best possible location in Florence! 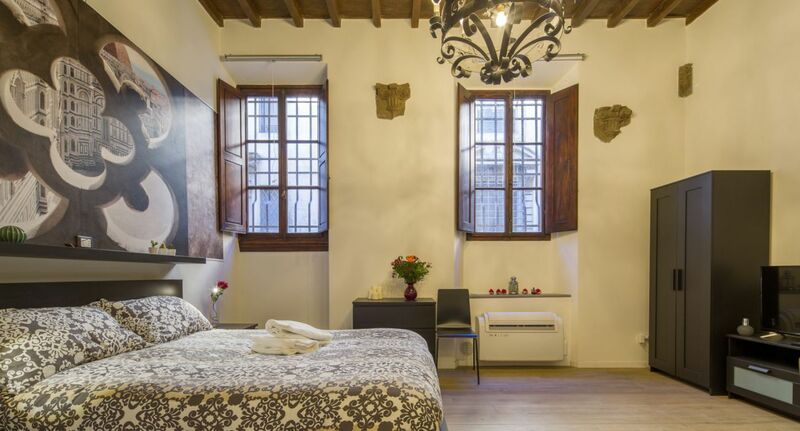 An amazing view of the Duomo will greet you inside the building, and you’ll be able to hear the Camapanile’s bells from your living room! 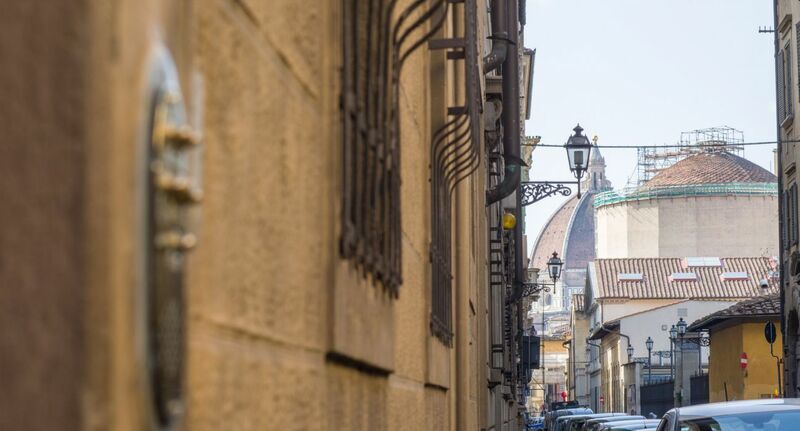 Besides the Duomo, which is literally a few steps away, the Galleria dell’Accademia, “home” of Michelangelo’s David, is about 200 meters down the street, while San Lorenzo, Piazza Signoria, the Uffizi Gallery, Santa Croceand Ponte Vecchio can all easily be reached with a 5-10 minute walk. 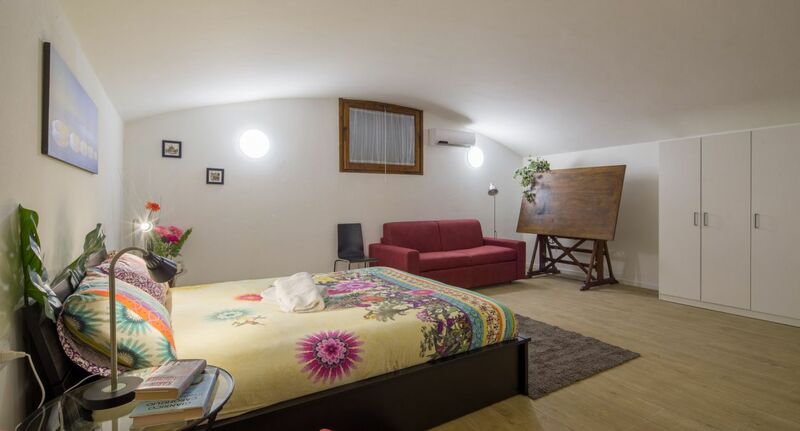 In short, this is the perfect home base for those who want to experience the true magic of Florence, and discover all the city’s treasures without ever needing buses or taxis.